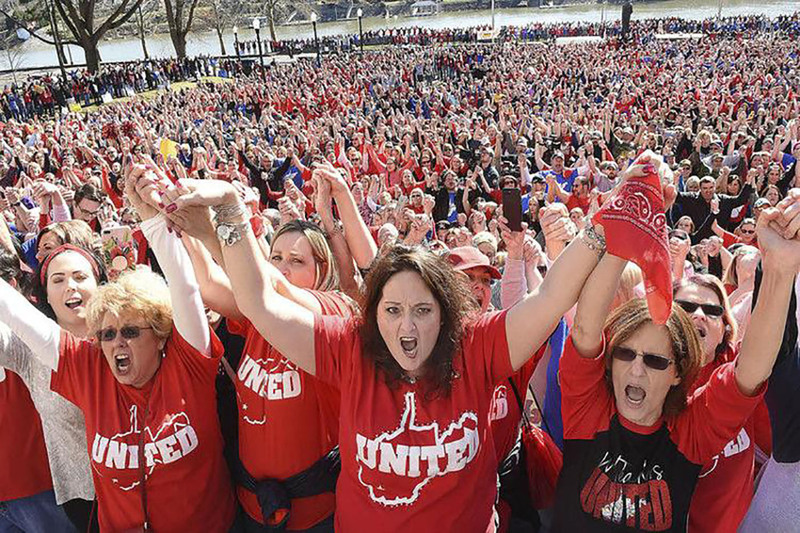 Teachers, school personnel and supporters from all 55 counties joined togther in unity at the State Capitol in Charleston on February 26, 2018, for a rally during day three of the statewide walkout. BECKLEY, W.Va. — Register-Herald head photographer Rick Barbero and videographer Jenny Harnish have both been recognized by the Southern Newspaper Publishers Association for their work in southern West Virginia. Barbero’s photo “Teacher’s Walkout” pulled in the popular vote in the “Reader’s Choice” competition with second place and compelled a third-place ranking with contest judges in the “Spot News” category. 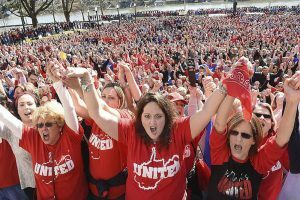 The image captured the determination and unity of hundreds of West Virginia teachers in Charleston during the #55Strong educators’ walk-out. “Even with that many teachers, the image is simple, nicely composed with a clear message,” a judge noted. “The image has a uniform message, and, judging from what we can see, all are with the same voice.